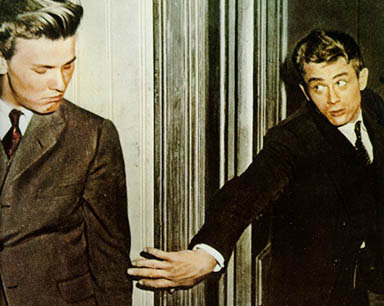 James Dean is most famous for his role as Jim Stark in Rebel Without a Cause. 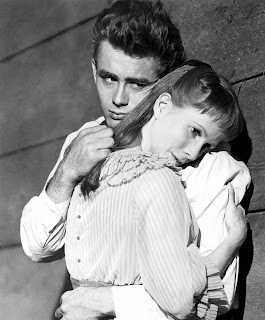 Although a brilliant and legendary performance, Dean’s role as Cal in East of Eden is his greatest. James Dean may only have three major film roles to his credit, but his brilliance as a natural method actor has confirmed his legacy as one of the greatest American actors to grace the silver screen. James Dean was a very conflicted and volatile individual in real-life, and his role as Cal in East of Eden best fits the character of the real young man. Although “Bad,” Cal is a much more interesting and complex individual than his pansy Christian brother. Like the real-life James Dean, Cal is damaged goods and a born survivor(or maybe not). Brother Aron shows his true weakness and false worldview when he finds out who his Mother really is. Being the good Christian he is, he smashes his face through a train window while making his way to get killed by Germans in the war. When Cal finds out his mother is still alive and who she is, things start to make more sense for him. East of Eden is set on the eve of America’s entry into the first World War. 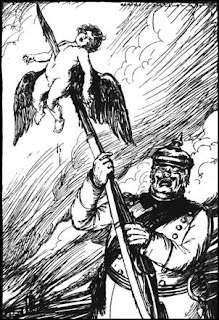 Due to the lies of media moguls with alien interests, America got involved in the war to kill evil Huns (despite America‘s largest ethnic group being of German descent). You can be sure that the sons of the war agitators didn’t lay a foot on European soil, and sat the war out. They did, however, illegally receive a peace of land in Palestine from the British Empire via The Balfour Declaration of 1917 for getting the U.S. involved in the war. This land theft and “behind the scenes” deal still affects the world today with American’s dying in the middle east once again for alien interests. Surprisingly, in East of Eden, Hollywood acknowledged the vicious slander brought upon Germans for no rational reason at all. 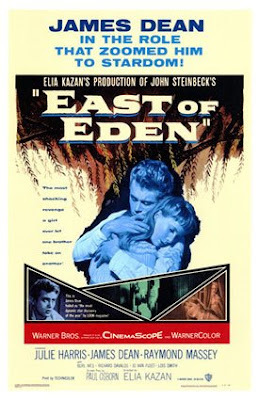 East of Eden takes a look at how opposites attract and produce conflicting children. The dichotomy of good and evil becomes an in-depth brotherly character study with the film. Like always, evil is much stronger and interesting than good as the charismatic Cal demonstrates. When the family is finally destroyed, Cal is the only one left standing. Due to his denial of Christianity and it’s anti-human rules, Cal is able to handle finding out his mother is a madam at a whorehouse. Cal is not a sheep in the herd, but a wolf on the prowl. Wow, I've been on an old Hollywood kick for the past year and I'm so happy to see you all respect James Dean like this. Very classy. What an emotive and talented figure. germans are rubbish but the british are much worse beleive me. Heather O`Rourke is a hundred times more legendary than James Dean.